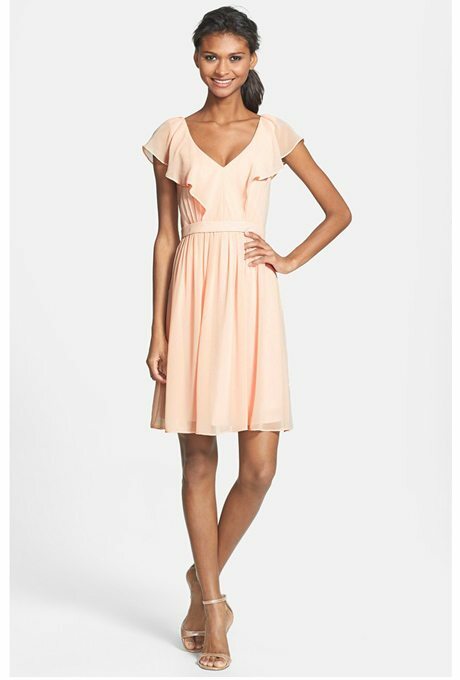 Perfectly feminine and delicately sweet, we’ve got a trendy treat for you today! 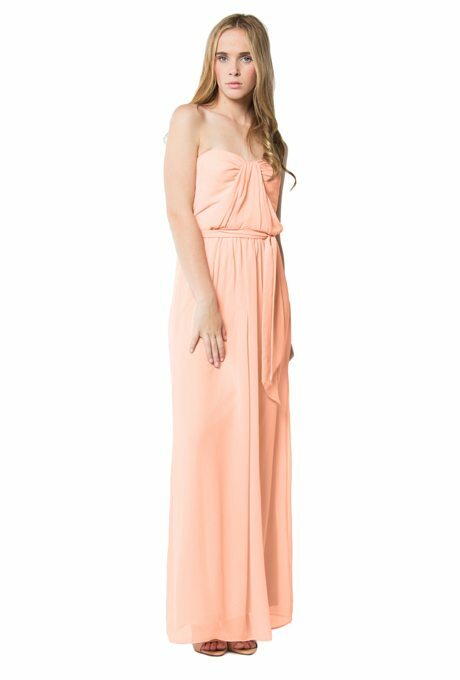 Look around at these peachy bridesmaids gowns and gather some inspiration for your ladies in waiting. We love the modern, two-tone structure of this design. This is a richer, more vibrant shade of peach, which is perfect for spring! 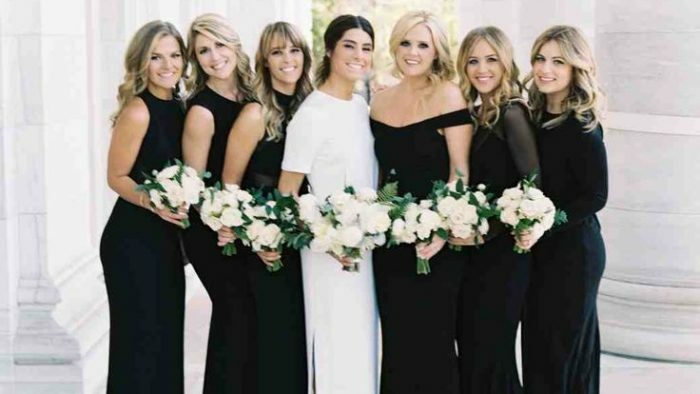 Formal and soft, bridesmaids can be plucked right out of a fairy-tale as well. A Greek-inspired design and a beautiful tone for those with darker complexions. 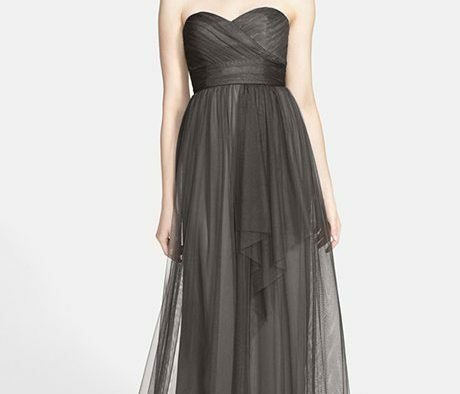 This dress is made to celebrate in, especially on the dance floor! Another dainty and delicate design, this one is perfect for a garden ceremony. More of a sherbert hue, this design and tone was made for summertime. Love the length, love the ribbon, it’s preppy and sweet for a contemporary and soft wedding day. Short and simple, this design is easily dressed up or around the theme using accessories. This is a flattering choice for a variety of figures, just watch their skin tones as it looks better on ladies with darker hues.